...and outed as 61-year-old Alice Sheldon. 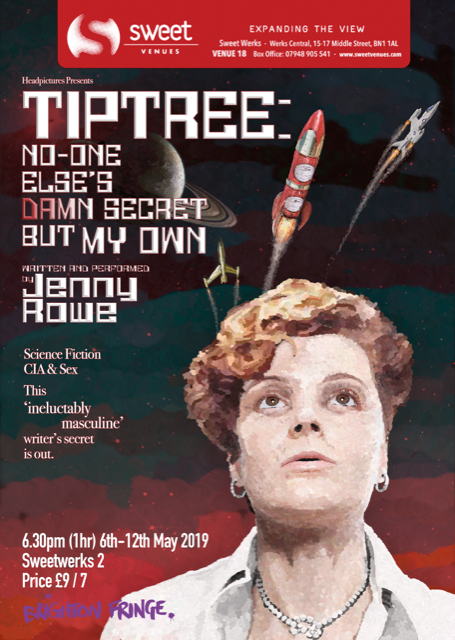 This is the web page for the James Tiptree Jr project - a solo show performed (during research and development) in Hove Grown festival and then first performed at Stroud Theatre Fest in Sept 2018. 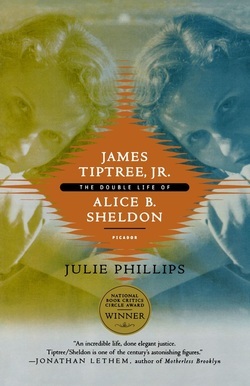 James Tiptree Jr was the pen name of Alice B Sheldon. An SF author, a scientist, a photo-intelligence officer, an environmentalist. She wrote science fiction during the last 20 years of her life, writing letters to her friends, Ursula Leguin, Frederick Pohl, Anne McCaffrey, Joanna Russ amongst others. Her life was peppered with depression, experimentation, challenges and brilliance. some found her frustrating and difficult but many more loved her. Having written as a man for many years, she was finally 'outed' when her mother (Mary Hastings Bradley) died. It caused a furore. 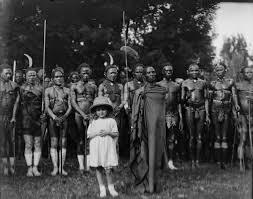 Not only did some feel they had been lied to, she struggled to find James Tiptree Jr's voice again. In 1987, when her husband was old and nearly blind, and she had undergone various operations, including open heart surgery, she took a gun, shot her husband and then turned it on herself. Alice Sheldon won various awards including the Hugo, Nebula, Jupiter, World Fantasy Awards. 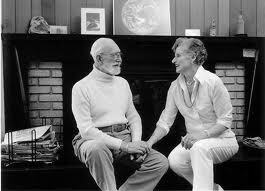 She even has the accolade of an award named after her alter-ego, the James Tiptree Jr Award for works of fiction that explore gender. ﻿...has written this wonderfully detailed biography of Alice Sheldon which has been invaluable for my research. Julie has also supplied some original recordings of Alice.